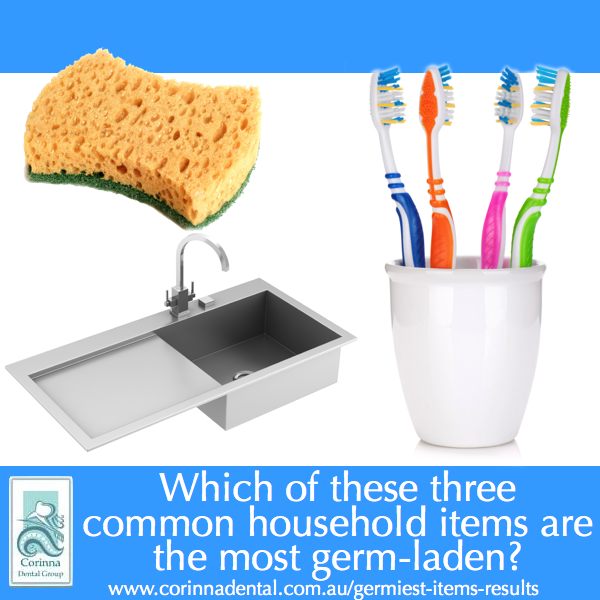 Yesterday we asked you what you thought would be the top household items that consist of the most germs. If items found in the bathroom like a toothbrush holder or the bathroom door knob are at the top of your list, you’re wrong! But, don’t despair, you weren’t the only one who got it wrong. NSF International, an independent public health and safety organisation, analysed 30 everyday household items to find out which contained the most germs. Many household members thought the bathroom items would be the dirtiest. However, based on the swab test by the NSF, of the 30 household items listed, the kitchen is where the dirtiest item is found. The germiest item in the household is the very thing that is, ironically, used to clean dishes and kitchen counter tops— the dish sponge. However if you answered toothbrush holder, you were close to being correct. The toothbrush holder comes in third place as being the germiest household item. The second was the kitchen sink. Read more about this study here plus some tips on how to keep your household items and surfaces clean.